We’re pleased to unveil our list of presenters for 2019. As always, we have a wonderful roster of authors, agents, editors, and illustrators lined up. If you’ve attended previous conferences, then you might be excited to recognize some returning favorites from 2018, including the inimitable Gail Carson Levine, who is back by popular demand! Click here to see all the speakers. 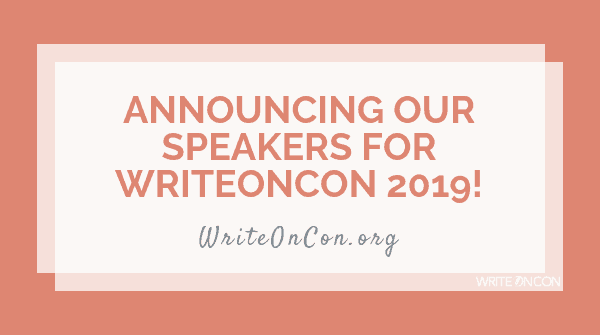 If you’re a new attendee, please note that not all speakers listed as such will be speaking in live events; rather, several will be contributing in the form of posted content such as blogs or vlogs. This list is still a work in progress, so keep your eyes peeled for updates! The conference schedule will be posted in December, so be sure to check back then. If you’re as excited as we are, go check out our ongoing fundraiser campaign, or spread the word on social media! Who are you excited to hear from during our 2019 conference? Excited to hear from all of them! But as you add more speakers, please try to add more diversity – thank you. Hi, Pauline! Glad to hear you’re excited. We are, too! Do you have any specific authors/agents you’d like to hear from in 2019? We can’t guarantee their availability, but we will definitely try to reach out. You might also go to the WNDB website and see who is part of that team, or ask them for recommendations. Hope that helps and thanks for asking!